First stop was Notre Damn (which is turning a 850 years old this year). In a first in my time in Paris the cathedral was open to the visitors despite the funeral of a local much loved man of the cloth occurring. So the group was lucky enough to here the massive organ in use as well as hearing the bells tolled in celebration of his life. Next stop after that was to The Louvre to investigate the famous exhibits held within the museum (eg Mona Lisa, Venus De Milo and the like). Of particular interest was the statistic that of the some 600,000 works of art held by the Louvre, due to space issues at any one time there are less than 10% of these on show. The final stop for the day was the gold topped dome that houses the tomb of Napoleon. Napoleon's body is encased with 7 different coffins (in a similar manner to the Russian Babushka Dolls). Of particular interest to the group was the incredible art work that had been painted on the inside of the dome and how this would have been completed (given the height of the dome) and how long that this would have taken to complete. 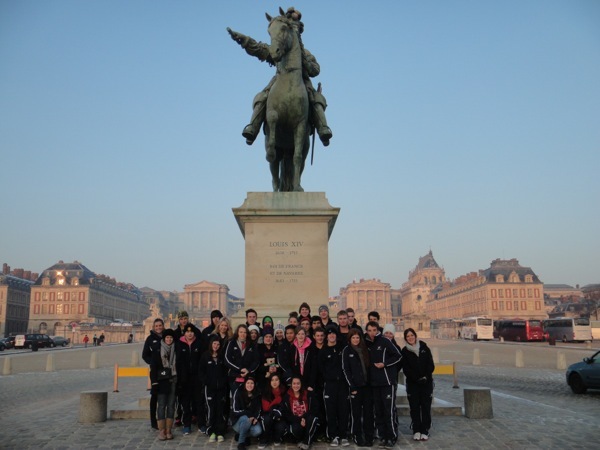 The group then set course back to the hotel to prepare for the final tour dinner and presentations. 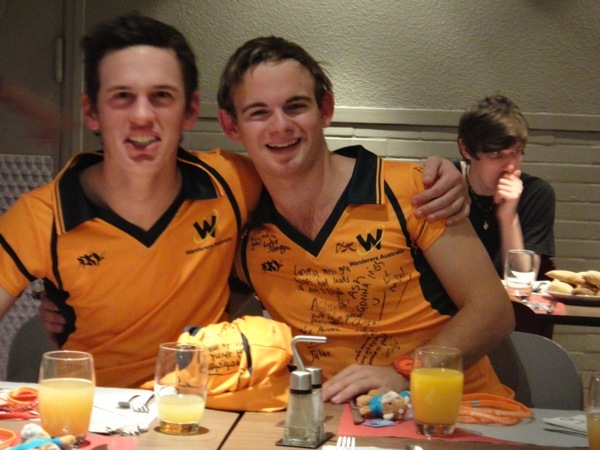 The boys team, never wishing to disappoint arrived at the dinner attired in playing shirts and skorts after swapping them with their matching number from the girl's team. You really had to see it to believe it :-). * Male of the Tour - Trent Candy. * Female of the Tour - Katie Warren. 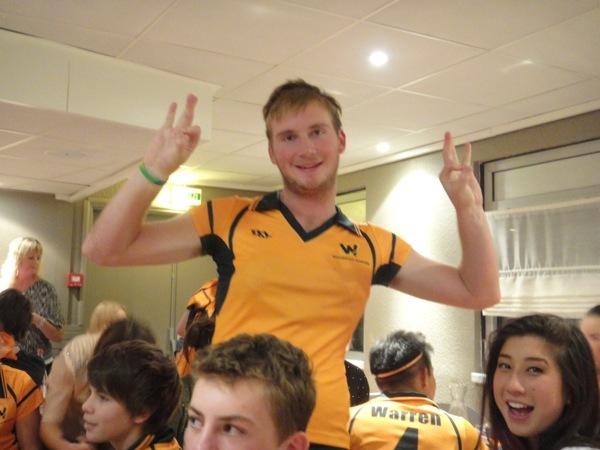 * Male Player's Player - Max. * Female Player's Player - Abby. * Male Coaches' Choice - Jack Ward. * Female Coaches' Choice - Jessie Muirden. * Male Encouragement Award - Chris. * Female Encouragement Award - Alex Betheras. * Tour Laurie Lawrence Award - Wes. 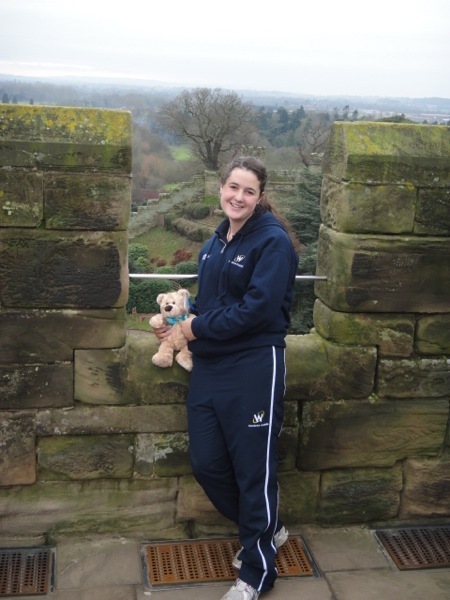 As the group complete their final packing tonight in preparation for the long trek home to start tomorrow, this will be the final tour blog as soon your son's and daughter's will be home to expand on their adventures in the United Kingdom and Europe. Welcome to the Wanderers Winter Wonderland European Leg :-). * Place De La Concorde. On of the universal highlights of the tour was the traditional "lap of honour" in the bus around the Arc De Triumphe encountering the absolute madness that occurs with the cars entering the round about and then conversely trying to leave the round about. Refer to the Wanderers Facebook page for video of the madness. After visiting the Luxembourg Gardens lunch was in the Latin Quarter at one of the many quaint little cafes and restaurants that offer great value for money which are tucked away in the small winding side streets. 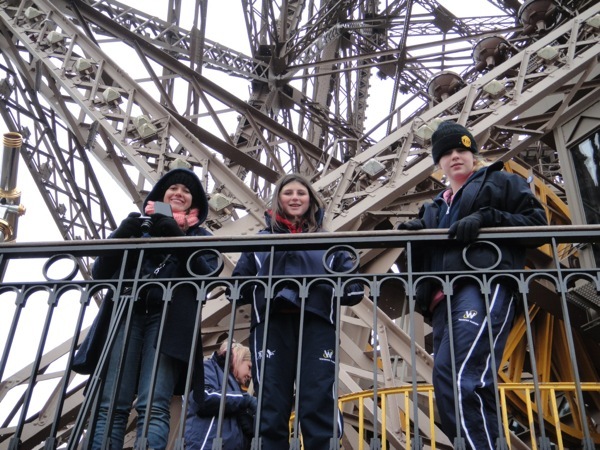 The primary afternoon activity involved the group scaling the heights of the Eiffel Tower. Shortly before arriving at the Eiffel Tower it began to snow in the centre of Paris and unfortunately that put pay to the hopes of being able to make it to the very top (as it was closed due to safety concerns). Undaunted the group decided to take up the challenge of climbing to the second level via the 679 steps (which allowed some to work off the lunch that they had just eaten:-)). From there the group headed off to the hotel to check in where we united again with our friends from Pine River State High School (who are also staying on the same same floor as us) before heading out to sample the Champs Élysées shopping and the view from the top of the Arc De Triumphe to round out the day's activities. 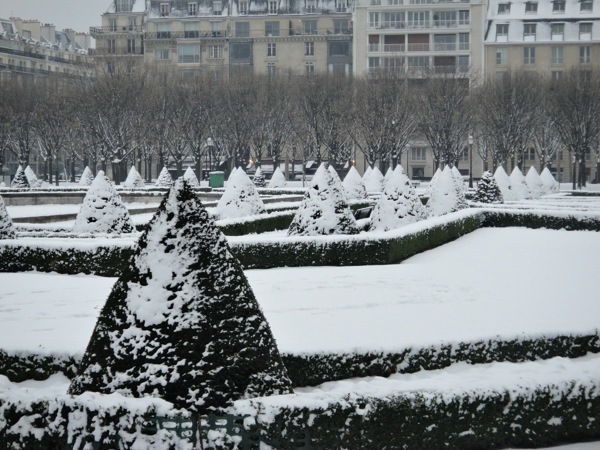 By now the snow in the centre of Paris was falling heavily and blanketing the Champs Élysées under 4 - 5 cm of snow, which unfortunately contributed to the group being unable to climb to the top of the Arc De Triumphe as it as well had been closed due to safety concerns. Instead the group readily embraced the additional time this allowed them to window shop in the many famous store brands along this stretch of the Champs Élysées. Question - When the temperature is the wrong side of zero and it is snowing heavily what do Australians do in Paris? That's right they eat ice cream whilst window shopping: go figure (refer above photo). Before heading back for the final team dinner. This morning after a good night's sleep with our French hosts the group reassembled at the Chateau in Saint Germaine On Laye before heading out to the first stop of the day (whilst our hosts when to school and work) to the Palace Of Versailles. Most striking from the exterior of the Palace is the gold trim that adorns the gates and the statues and the like that adorn the roof line. Once in side the group marvelled at the intricate work that had been undertaken during the original construction of the palace and the subsequent continuing additions and "renovations" that had been undertaken by subsequent residents of the castle. 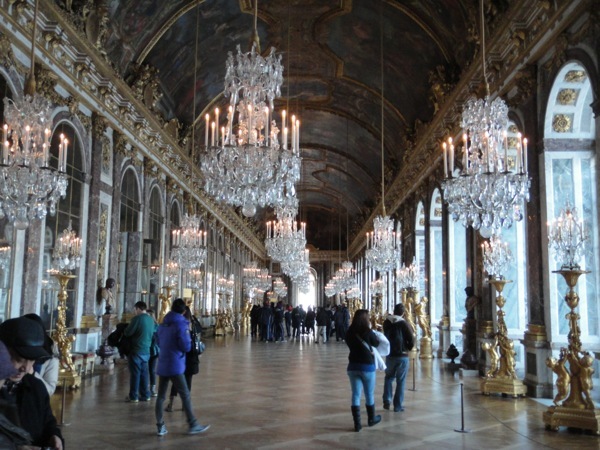 * The "corridor of chandeliers" where many receptions / parties were held back in those times. Which as some observed looked like it came straight out of a Harry Potter movie. * The King's bedroom with the ornate bed chamber and the surrounding art work that took over 25 years to restore to its former glory. * The expansive gardens that stretch on as far as the eye can see which contains the Grand Canal which back then was used for ship battles, however today appears to be used extensively for rowing purposes. 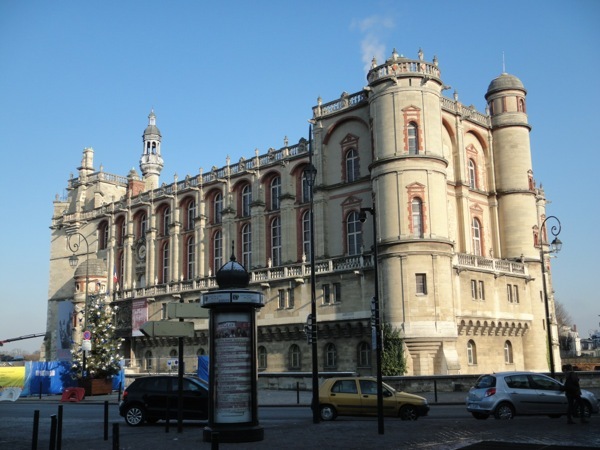 From there the group returned to Saint Germain On Laye for lunch with a number of the group experiencing their first taste of escargots (snails). Unlike previous years the consensus was extremely positive with all tasting them agreeing that the Garlic and Basel sauce that they were served with made them extremely edible. For those back home that have never tasted snails before, the taste and texture can best be described as eating garlic mussels. After lunch the group set out to explore the attractions that the town had to offer by wending our way through the streets (of course stopping when a shop window caught our eye). When the dust settled the most popular shops proved to be fashion houses and the macaroon shop that served one of the best tasting array of macaroons in France. Unfortunately due to the snow and the below zero temperatures again the scheduled game had to be cancelled due to safety concerns with the frozen / iced up pitch. From there the group returned to their host families for their final night of billeting on tour and last change to experience the joys of traditional French cooking (including frogs legs). As the famous French Philosopher Marie-Sophie Le Guezec said "as I have now tasted snails and frogs legs in a single day, if the world should end tonight I will be a contented and fulfilled man" :-). Tomorrow sees the group heading into Paris ( the final city in the journey) for some sightseeing and rest and relaxation prior to commencing the long journey home. This morning the group awoke to find that another 5 - 6 centimetres of snow cover had been added to the blanket laid the previous night, which necessitated snowball fights galore whilst the boys and girls team awaited the arrival of the bus. The first leg of today's journey was between Amersfoort in the Netherlands to Antwerp in Belgium. On most normal days this journey would take approximately 90 minutes, however with the addition of snow and to their own admission many inexperienced Dutch drivers in snow this lead to some very interesting driving manoeuvres being observed on the 150 minutes that it did take. 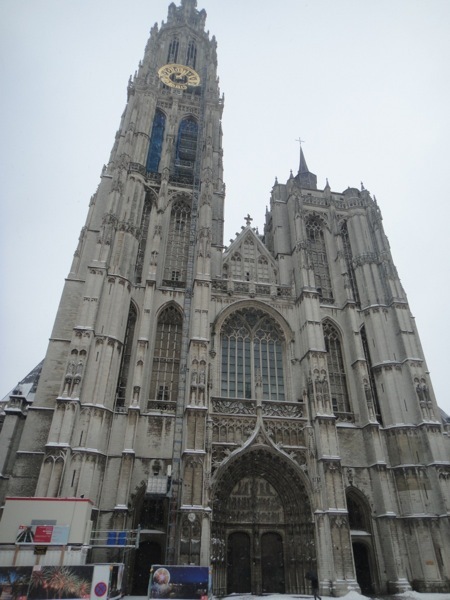 Upon arrival into Antwerp the group explored all of the sights, sounds and attractions on offer, ranging from the obvious (ie Chocolate, Hot Chips with Samurai Sauce, Waffles, Shopping) to the less known (ie The Cathedral, Architecture and Central Station). With bags laden predominantly with chocolate souvenirs the group them headed our to our next hosts at Royal Victory in Antwerp. Introduction of a sport for potential inclusion in the next Winter Olympics, that of "snow hockey" :-). What are the rules of "snow hockey" you ask? There are relative few. 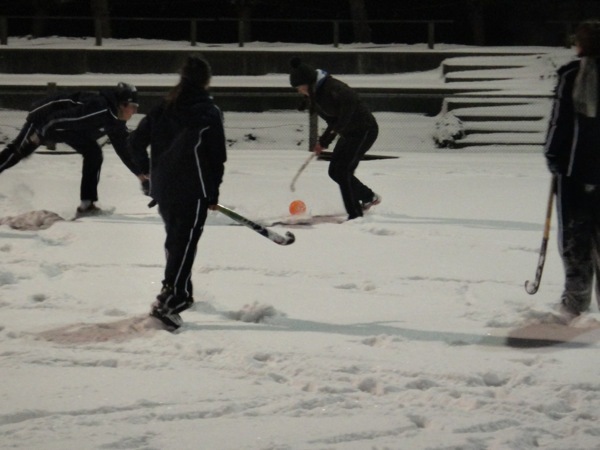 The game is played on a hockey ground that has been covered to a depth of at least 10 of snow and the ball is fluorescent and about half the size of a soccer ball and there are unlimited numbers of players on each team. From the beginning whistle organised slipping and sliding mayhem occurs on a regular basis occasionally punctuated by a sublime exhibition of skill given the conditions. When the final whistle blew and the snow settled there was a strong resemblance to "frosty the snowman" exhibited by players on all teams with immense fun being had by all. For the record the final score was Wanderers 3 Royal Victory 2. 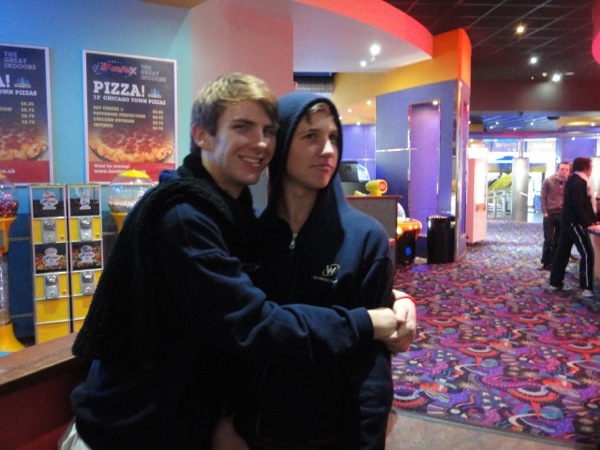 Goals; Luke, Max & Zach. 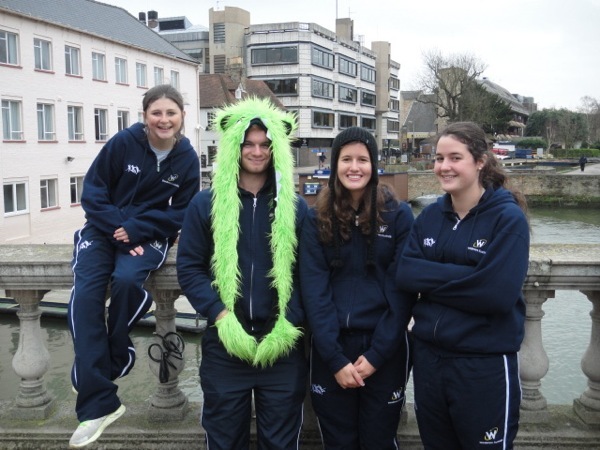 Special mention to Julian Minto-Crask who today celebrated his 16th birthday with 31 other of his newest hockey mates and was able to start the celebration in one country and finish it in another with birthday kisses from two lovely Belgium girls. 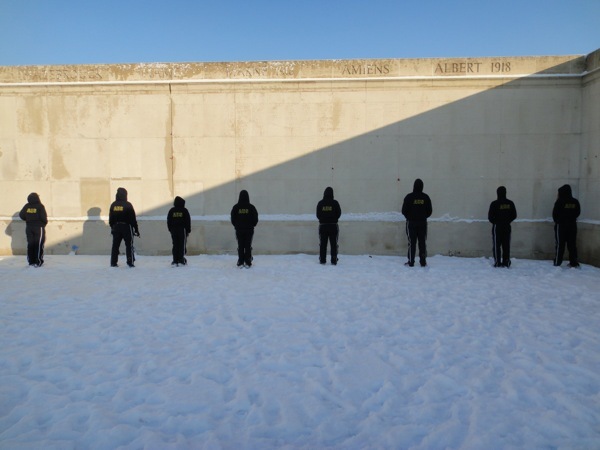 Please note that due to travel and billeting arrangements over the next two to three days access to the Internet is likely to be limited until the group reach Paris, therefore impacting upon this daily blog. Just when the group believed that it had survived the best that a Dutch winter could throw at them, Mother Nature had more in store this morning with a temperature of -5 recorded as the bus pulled in to pick up the group from their host families from Leusden. Needless to say that was the quickest that that 32 players had boarded the bus so far this trip :-). First stop today was an 18 kilometre stretch of road that has been built on the land reclaimed back from the sea, which was quite amazing to have the open ocean on one side of the road, with essentially a large lake on the other and not much in between. 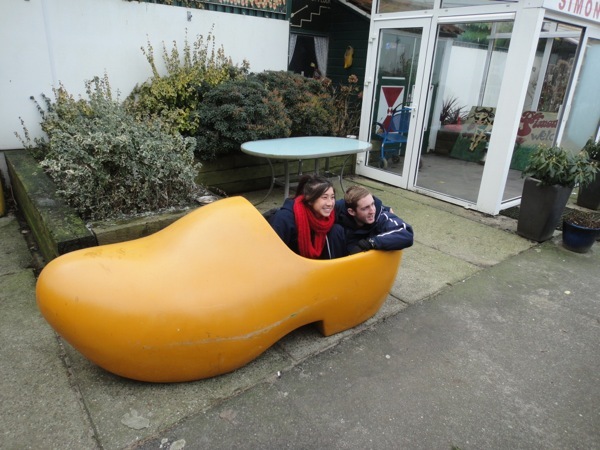 From here the group travelled to a demonstration on cheese making and clog manufacturing (with our own Liam Moller being chosen as the apprentice clog maker). At the conclusion of the demonstration many sampled the array of cheeses on offer with the consensus that the two best cheeses were the Smoked Cheese and the Stinging Nettle Cheese. After examining a nearby "traditional" wind mill, one of the group from the Northern Territory (who shall remain nameless) was so excited at seeing a small canal that had frozen over he decided to test how sturdy the ice was by placing a foot on it. Only to find that it was not as sturdy a her first thought. Resulting in a wet foot up to knee level :-). From the windmill the next stop was at the nearby traditional fishing village of Volendam with a couple of hours spent exploring the town and sampling some of the fresh seafood on offer. 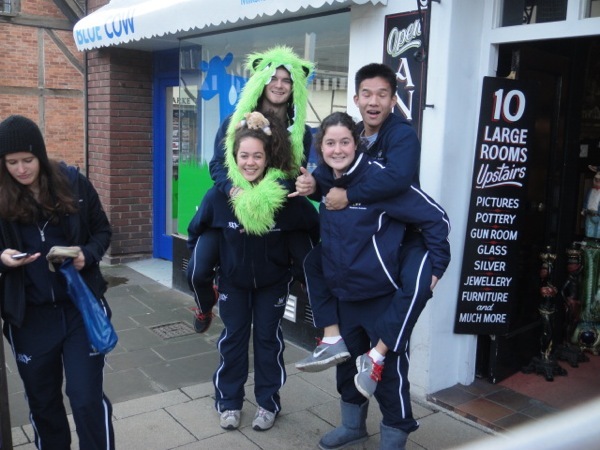 The shopaholics within the group also discovered a quaint little shop on the foreshore with a difference. The shop states that it is open 8 days a week (refer photographic evidence below). 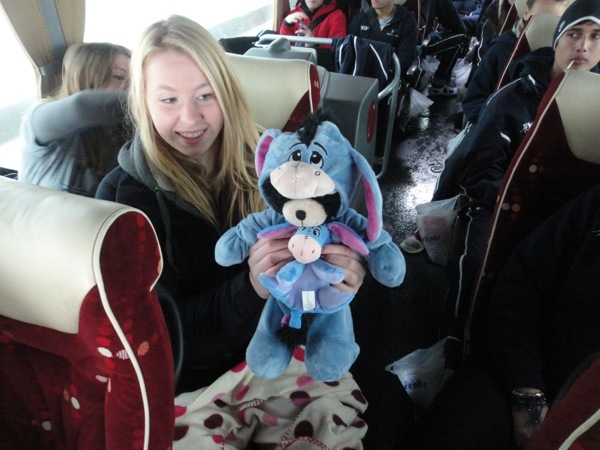 From Volendam the group headed back to our next hosts at Soest Hockey Club. Upon arrival at the club late afternoon if on queue the skies opened up and it started to snow enveloping the surroundings in a white blanket approximately 1 - 1.5 cm deep. Due to the rules from the Dutch Governing Body for hockey for insurance reasons when there is snow all games are cancelled. 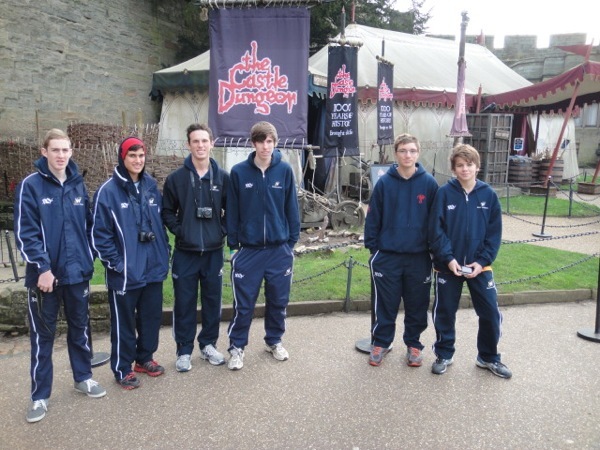 Instead the interest was to see how the Wanderers boys would top their Russian Bobsled impersonation of five years ago. Needless to say the boys didn't let the Wanderers down when they decided that a snow run was in order wearing nothing more than shorts....This left our hosts in fits of laughter and left an almost impossible task for the new team of Wanderers boys to better in the years to come. Today the group awoke to the chilliest start to a morning that we had experienced on tour yet. 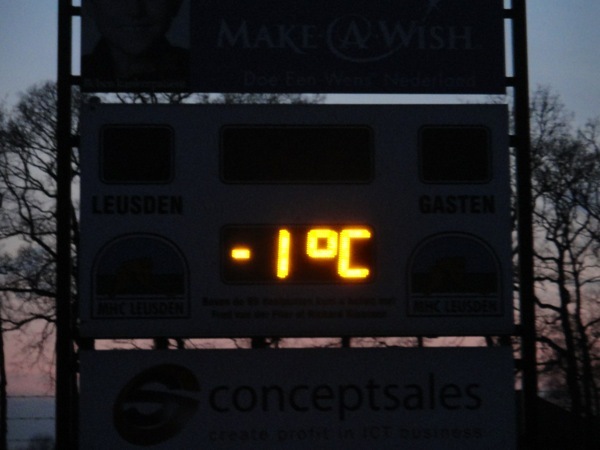 Whereas the ground we played on yesterday at Leusden was green, this morning it was sporting a top layer of white with the scoreboard recoding the temperature at -4. Bleary eyed (as a result of attending the birthday party of one of the Dutch girl's), the group slowly assembled for this morning's expedition into Amsterdam to sample the vibrant culture of this widely known city. After the obligatory group shot in Dam Square the group headed to the Anne Frank House, where During World War 2 as a Jew Anne, her immediate family and her extended family were forced to hide from the Germans for a number of years until their ultimate betrayal and capture. From there the group embarked on a brief tour of another one of Amsterdam's most "famous / infamous" areas, the Red Light District which was an eye opener for many. By the time the group was heading back to the bus, the sun had come out which lifted the temperatures (a little), which in turn meant there was a significant influx of people to the streets where previously they had been relatively deserted. With the people came the shops that then opened and the more observant noticed some quite unique signs in the windows of shops (refer above photos). The keen shoppers within the group noted that in Australia we have "Winter Sales", whereas in keeping with European winters instead the Dutch have "Sub Zero" sales (refer above photos). 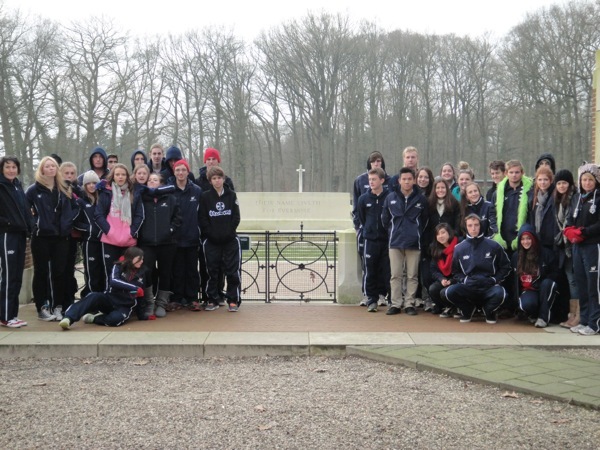 The group then headed out to the Arnhem Airbourne Museum that documents the story of the key strategic Operation Market Garden during World War 2 and the significance of this operation. 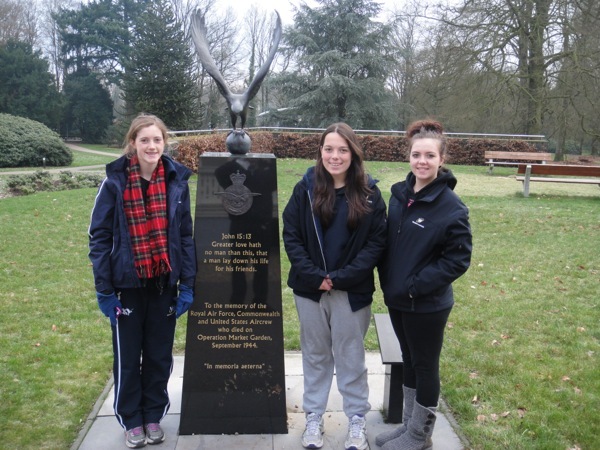 From there the group visited the nearby Oosterbeck War Cemetery which is the final resting place for many of the Allies that fought to repel the Germans during World War 2. The sheer enormity of the war and the ultimate sacrifice made by many served as a sobering reminder to many within the group as they walked throughout the cemetery. 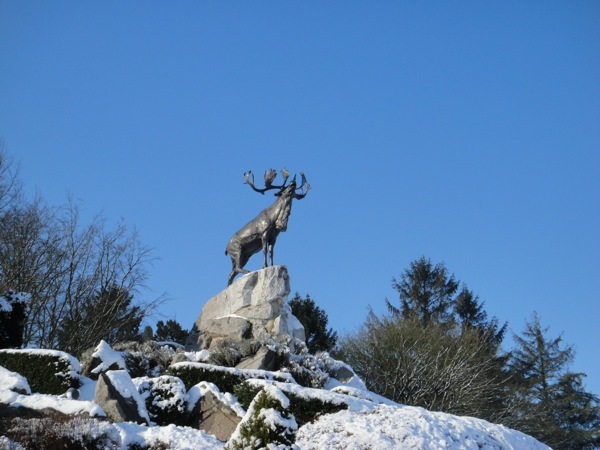 As we were returning to the bus from the cemetery the temperature plunged even further as small white flecks began falling from the sky and for many in the group they experienced their first experience of snow in a place other than the ski fields. Th final stop for the day was to walk over the key strategic bridge in Arnhem that was one of the focuses of Operation Market Garden and has since been the centre piece of films such as "A Bridge To Far". As the temperatures fall the further we get into Europe we have been advised that due to expected extreme night time temperatures of -7 to -8 and safety concerns ( ie the pitches freezing / icing over) that tomorrow night's game will be cancelled. Today saw the commencement of the European leg of the tour with the group really looking forward to mixing it on the field with traditional foes Netherlands, Belgium & France. Hopes were high that we had left the worst of the weather behind in England as the group was met with crisp clear skies and bright sunshine when we disembarked in Rotterdam. My how quickly that hope was dashed.... More on that later. After a lengthy drive from Rotterdam the first stop was every hockey playing shopaholic's dream (including the author) a visit to Hockey Republic which was been described before as a nirvana of every piece and brand of equipment currently known to the hockey fraternity. After forty five minutes of mayhem the group emerged carrying significantly more bags than when they entered. Special mention must go to two of the group that somehow mistook the shoe store next to Hockey Republic as the hockey store and proceeded to purchase fashionable "spectator" shoes. 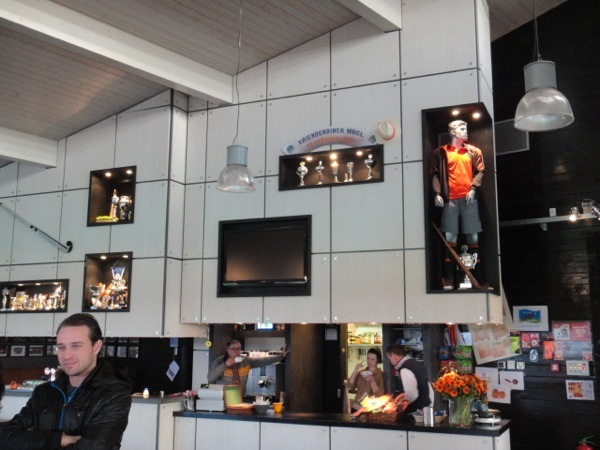 From here it was off to the first game in the Netherlands against Leusden a middle size club who's grounds set up and club rooms are the envy of all bigger teams in Australia. In their first experience of playing against the Dutch style of play and against a formidable and well drilled opponent the girls set out to further build on their patterns of play whilst concentrating on three specific elements to make life as difficult as possible for the opposition. 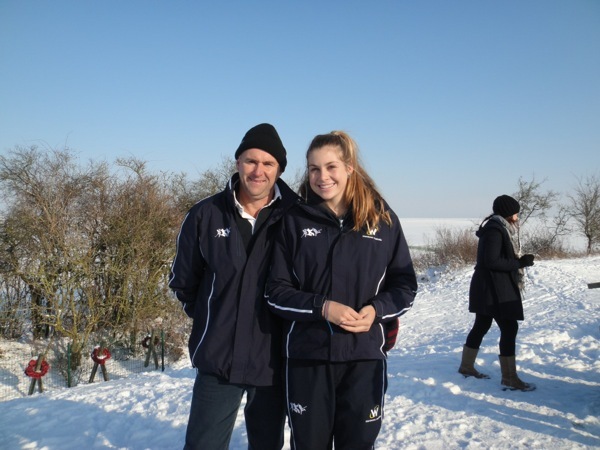 At the opening whistle the temperature on the scoreboard indicated that it was 0 degrees and this hampered the strong start that the girls had hoped for and were under pressure constantly thought the first quarter of the game going three goals down. Slowly as the half wore on the girls were able to refocus on the plans and for the second half of of the half dominated the possession with well worked switches, dumps, presenting to the ball and early one touch passes. Early in the second half the temperature dropped to -1 and the bench was reduced to three as the girls lost two players resulting from the extreme temperature. Gamely they battled on scrambling to repel wave after wave of the opposition attack which they did for the majority of the second half until fatigue played a part in two further late goals to the opposition. 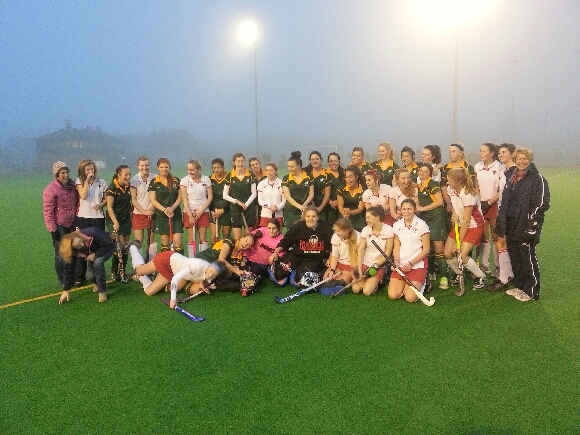 The girls should all be very proud of their efforts in the conditions against a very good hockey team. Playing simultaneously with the girls the boys also hade to brave the " chilly arctic" conditions. The boys started strong and were able to put the opposition on the back foot with an early goal. This seemed to sting the opposition into action and they dominated the possession with immense pressure and tackling and due to some costly defensive lapses were able to first equalise and then score a go ahead goal to take a 2-1 lead to the halftime break. In the second half by contrast the boys came out and despite the desperation of the opposition were able to execute their game plan clinically to score three unanswered goals to run out with a well deserved victory. Goals; Max 2, Olly & Jason. 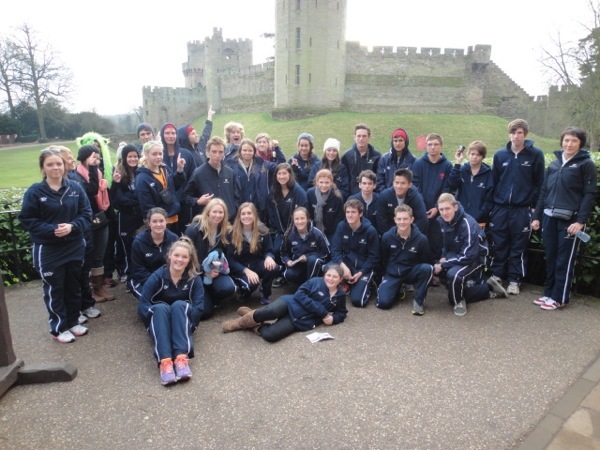 Today marked the final full day of the English leg of the group's adventure. After bidding farewell to our gracious hosts from Lichfield the group headed off to tour Old Trafford, the home of Manchester United. The group sat where the players they watch on television get changed prior to the game and then walked down the tunnel that the players do on match day to the thunderous applause of a frenzied crowd (okay yes it was just a recording :-)), learned about the role that the Munich tragedy played in making the club what it is today and of course finished the experience with the mandatory visit to the Super Store. From here the group boarded the bus for the trip to Hull which is the departure point for the overnight ferry that will take us to begin the European leg of the trip. "Far from the heat and humidity of Australia, England has thus far proved to be an exciting and above all enjoyable experience. Now accustomed to the lack of sunlight and chilling temperatures, the new challenges that these have provided have been embraced. Despite the jet lag and long days that has sometimes proved challenging, great success on the field has been achieved. 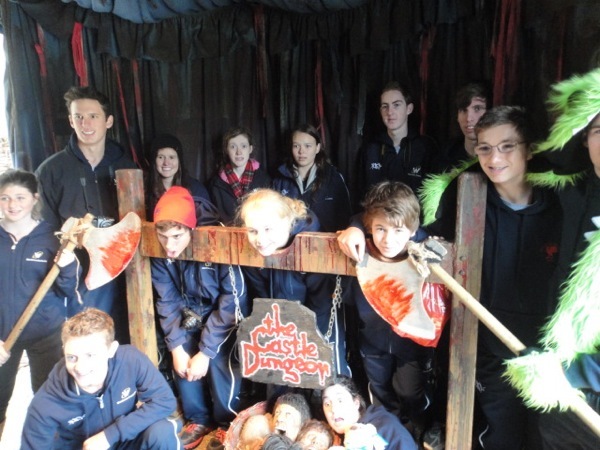 Outside of the sporting arena players have been exposed to many new cultural aspects of England. 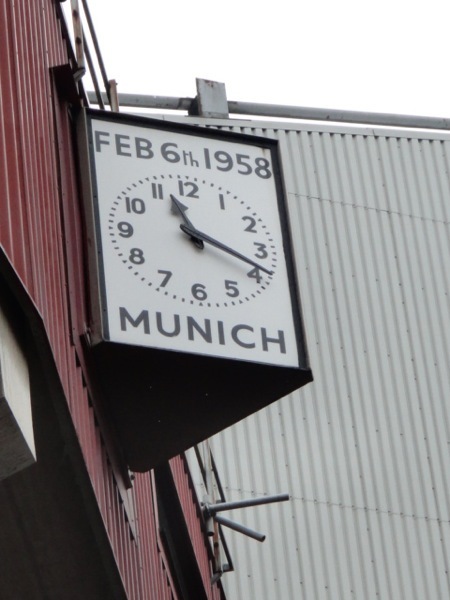 Highlights of the tour so far include; English breakfast (particularly Black Pudding), the spectator passion shown at local football games and exploring the significance of the historic and time worn parts of the country. 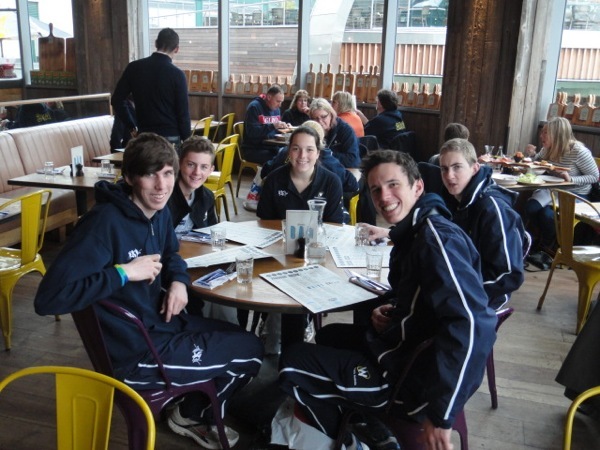 After crossing the English Channel many new and exciting experiences await this rowdy bunch of Aussies." "As a tourist, as a hockey player and as a self confessed shopaholic this trip to date has outdone my expectations for how amazing our journey to the other side of the world would be. Having just completed the England leg of our trip, we have not only visited some of the most iconic attractions in England such as Buckingham Palace, Westminster Abbey, Trafalgar Square and the Tower Of London but have been immersed in the vibrant culture and rich history. Staying with and getting to know our hosting English families has definitely been a highlight of the trip as we make friends and good memories from our time together. The team spirit on the field is second to none and it is a pleasure to watch our team develop from our first game together a week ago. An enthusiastic approach from our coaches and support from the sideline has really made a fantastic atmosphere for the competition. I am looking forward to the following days in Europe after our ferry trip to Rotterdam tonight." Whilst the group awoke to a crisp morning yesterday with clear skies, today the landscape was shrouded in fog, with the only consistent element being that it was still very very cold :-). 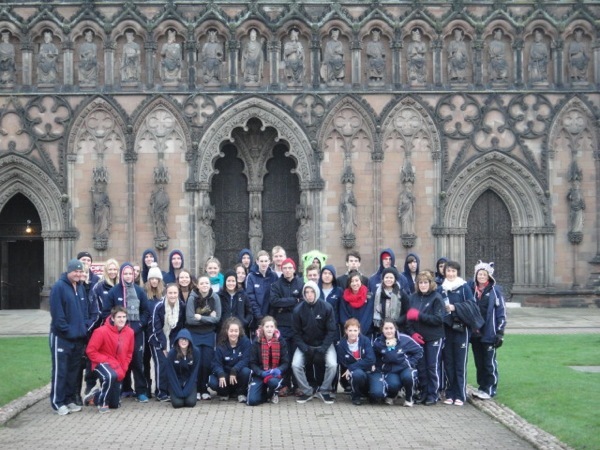 The first stop for today was the local town of Lichfield. Of particular interest was the enormous cathedral that dominated the skyline. The group continue to be amazed as to how buildings of this size, nature and intricacy were built without the aid of modern building tools such as cranes and hydrologic jacks. The group then explored the surrounding cobble stone streets that make up the town. 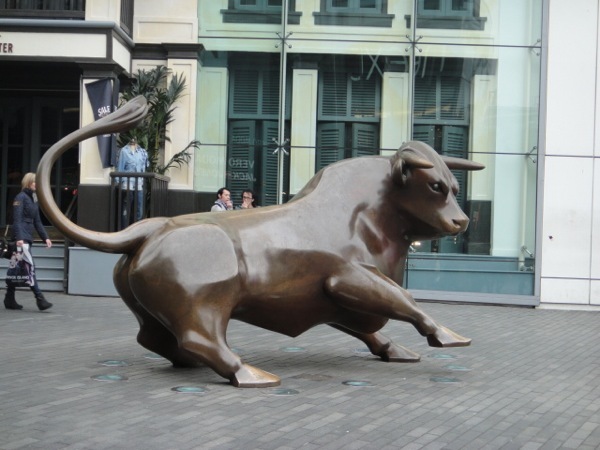 From here the group moved onto the centre of Birmingham to the famous Bullring shopping centre (purported to be one of the top three shopping centres in England) and the world famous Rags Markets. Whilst some explored the markets and participated in retail therapy others chose to try one of Jamie Oliver's latest restaurants. 1 - Manager Jillian's "Barney Rubble Running On Ice" impersonation. 2 - Coach Dion bowling on lane 16 managing to knock down pins on lane 15 instead. 3 - Riley Moller (desperately in search of a strike) after only knocking down 9 pins, turning here back on the lane a split second before the tenth pin then fell over thus missing her only strike for the tournament. The overall winner was Callan from the Northern Territory. As this is a Territory rather than a state NSW are claiming him as one of their own as he flew out from Sydney for this trip :-). 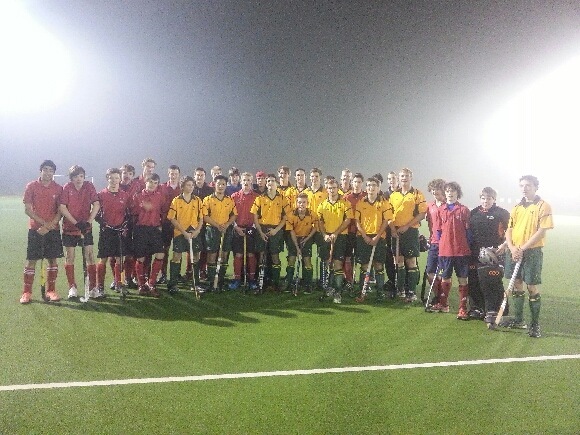 From here it was out to our last match on English soil against our Litchfield hosts. 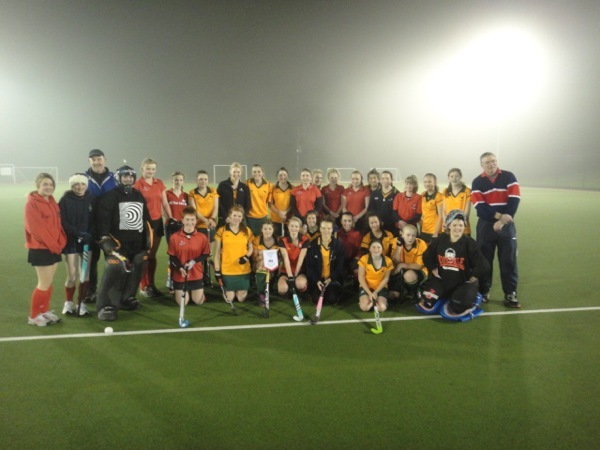 In temperatures fast approaching zero and blanketed in fog, the girls started brightly with some well structured attacks down the right hand side, unsettling the opposition defence by not letting them settle. The damp air ensured that the turf was slippery which resulted in a number of turnovers due to loose ball carries which kept the defence busy. As the game wore on the damp air, muscle strains and hockey ball hits contributed to the rapidly dwindling number on the bench. Oblivious to this the girls kept pressing forward and battling on in an attempt to break the deadlock. However unfortunately fatigue due to ending up playing one short took its toll with the opposition scoring two late goals to run out victorious. Similar to the girls, the boys game was blanketed by fog and played in temperatures around zero. The boys were initially forced to defend quite vigorously as the weight of possession allowed the opposition to take control. However gradually as the time in possession evened up the boys started to take control, with slick ball movement and tough hard tackling down back creating turnovers. 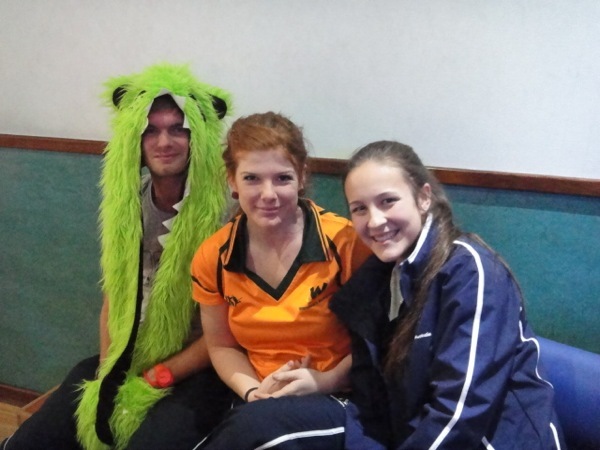 As the game wore on similar to the girls the weather conditions contributed greatly to the rapidly dwindling bench. Despite this the boys battled on hard and took the lead with a couple of minutes left. However unfortunately as new waves of fog rolled in the opposition equalised within the last two minutes of the game. 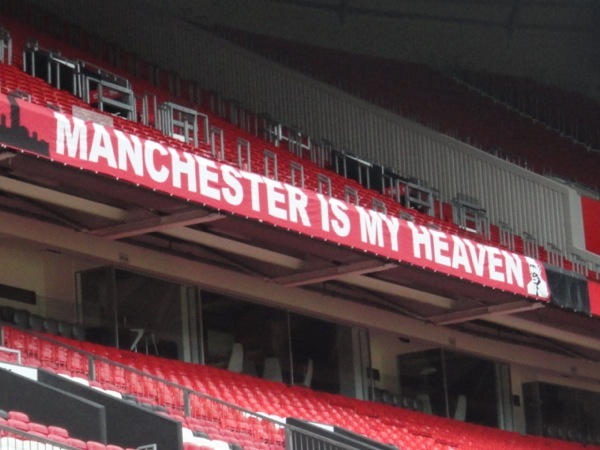 Tomorrow sees the group head to Old Trafford for a tour of Manchester United's stadium before heading onto Hull to board the overnight ferry to Rotterdam. Despite the earlier forecasts for rain the day dawned crisp with blue skies. The first stop this morning was the nearby Abington Park which provided a great opportunity for the tired and sore bodies to be stretched out with the added attraction of a nearby historical church, museum and cafe. From Abington the group then headed out to Stratford on Avon an Elizabethan town that was the birthplace of William Shakespeare. The group marvelled at the number of buildings that still retained their original architecture thus providing a great insight to the past. Some of the group chose to explore the still standing birthplace of William Shakespeare, others visited his and his wife's final resting place in the local church, whilst the remainder of the group chose to explore what the rest of the town had to offer from the houseboats and swans on the Avon River to the shopping that was on offer. 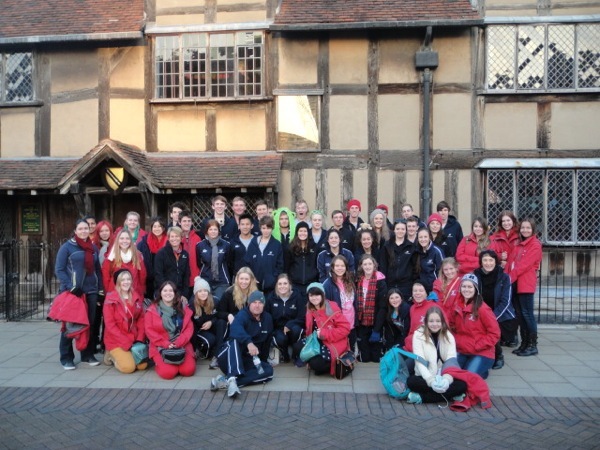 One of the highlights for the day undoubtedly occurred whilst the group photo in front of William Shakespeare's birth place was being taken. A group of similar aged boys and girls dressed in red (refer second group photo) asked where the group was from and during the ensuing conversation it was discovered that they were also from Australia and from Pine River State High in Queensland, they had arrived in London on the same day that we had and will be in Paris at the same time as the boys and girls and also at the same hotel. Watch out Paris the Aussies are coming!!! From Stratford on Avon it was off to Litchfield to meet our billets for the next two nights and our opposition in our final match in England. Today after bidding a sad farewell to our billets at Dereham, the group set out to visit the historic city of Cambridge. Unfortunately due to a conflict between itineraries Wills & Kate were not available to receive us :-(. After intense negotiations the group was able to secure a great deal on a punting trip (similar in nature to the Gondolas in Venice) down and around the university precinct viewing many of the historic buildings that dot the Cambridge University landscape and hearing of the most famous scholars who have graduated from the university. From there it was time to begin the trek back to our next game of the tour against Sutton - Coldfield (via of course the ultimate shopping experience for a bus load of Aussie hockey players - a hockey store). With the bench reduced to only three due to illness the girls knew that they were going to be in for a tough battle and they opened up very strongly in the first 15 minutes with a number of great circle penetrations, short corners and the first shots on goal of the game. Despite a number of near misses unfortunately the girls were unable to achieve what they craved most, placing scoreboard pressure on the opposition. The girls continued to press hard without being able to score, whilst the opposition unfortunately made the most of limited chances. The girls kept battling on for each other into the second half controlling most of the attack, however late in the game fell victim again the the "own goal" curse. The team is certain their luck is soon to turn and has donated a pound each into s pool to go to the first scorer. The juggernaut rolls on further into the Midlands in England. The boys started positively and with more composure when in possession of the ball allowed them to utilise rapid fire passing to find space on a regular basis in behind the opposition defence which was translating into regular circle penetrations. The deep defence was also standing firm in the face of some great counter attacks to ensure the first half clean sheet. 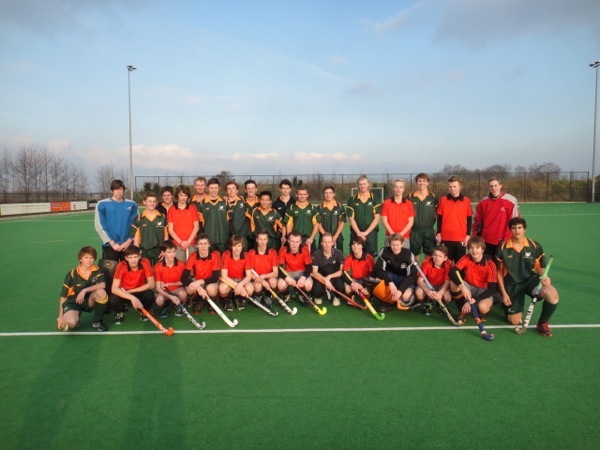 In the second half the boys continued to turn up the pressure with hard running and a number of great passages of one touch hockey, resulting in a number of short corners that were duly converted. Great goalkeeping from the opposition was a highlight of the second half that prevented further scoreboard damage. So close.... The "Real" Ashes remain with Dereham for another year after two titanic battles today. After spending the morning visiting the local town of Norwich and others the Norwich beach in bright sunshine with their Dereham billets the girls and boys team arrived ready to bring the urn home to Australia. Playing underneath a thick blanket of fog (hence the relative few photos as seeing the other side of the ground was challenge enough) the task was always going to be tough. After struggling in defence and composure when carrying the ball, the boys found themselves on the wrong side of a 0-3 score line after 26 minutes. As they slowly started to string some passes together they pulled one back just before half time. With greater communication and leading off the ball the boy's started to impose themselves on the Dereham defence pulling another two back to equal the scores with ten minutes to play. In the final 5 minutes the boy's added a further two to seal a memorable and courageous win. Goals; Olly 2, Jack G, Callan & Max. With the fog really starting to envelop the ground even more, the girls started slowly and were under siege in defence for the first 15 minutes of the game. Slowly but surely with greater communication and organisation in defence they worked their way back into the game by grit, determination and hard running. Despite pressing the Dereham defence hard, the girls were unable to land the killer blow on the score board with turnovers ultimately proving their downfall. Congratulations to Dereham for maintaing their grasp on the trophy for another year as well as being fantastic hosts for both of our teams. After a much welcomed sleep in the group bid farewell to their new friends in London before hitting the road for the drive up to Peterborough to watch the FA Cup clash between the Premier League team Norwich "Canaries" and the Championship League home team Peterborough "Posh" United. The experience of being almost within reach of the players in the capacity crowd of 13,000 was great with many in the group never having experienced previously spectating at a game of football / soccer from a standing room stand. Despite the passion for "Posh" provided by the locals that was not enough to get them over the line against their higher ranked / credentialed opponents. All in the group were enthralled by the colour and passion displayed by supporters from both sides with particular focus on the back and forth banter / chanting between the opposing supporters which bought on additional attraction to the game. After the game it was on to our next destination and opponents in Norfolk; as the build up to the clash tomorrow for the "real" ashes continues. After a good night's sleep the group set out early this morning to view the London 2012 Olympic site and after some "intensive negotiations" we were able to tour around the various centralised venues (many of which are in the course of being decommissioned and or relocated). We were able to see amongst others the main Olympic Stadium, Aquatic Centre, Veladrome, Basketball Stadium the Hockey Stadium's "Smurf Turf" was unfortunately one of the main venues that had already been decommissioned. From there the group moved onto the Tower Of London for lunch and a self guided tour that included viewing the Crown Jewels. St Paul's Cathedral was the last stop for the day before heading out to the much anticipated first clash with Teddington on foreign soil. Coaches Susie and Dion had both the boys and girls teams primed for this first game, despite having only arrived in England 36 hours prior to the game and only meeting the majority of their team mates in Singapore both teams performed extremely well. The girls put up a stirling effort against Teddington consistently stretching their defence and creating plenty of work for their goalkeeper with slick passing and hard running, with ultimately the only difference between the teams an unfortunate own goal. The boys started at a cracking pace scoring their first goal 33 seconds into the game. The controlled the majority of possession using the widtht to successfully open up the middle for the strikers. Many waves of Teddington attacks were diffused by a rock solid defence. For a first up performance given the constraints faced both teams are looking forward to the battle for the "hockey ashes" against Dereham in two days time. Arrived at Heathrow at 5.55 am. 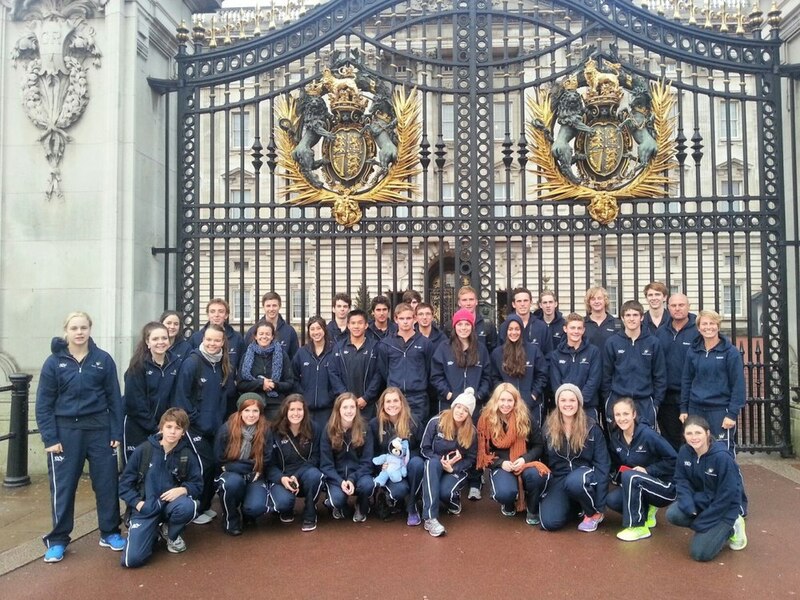 Despite very stiff and exhausted from the very long trip, everyone was excited to see London. We met with Martin who took us on a tour of many interesting places in London. 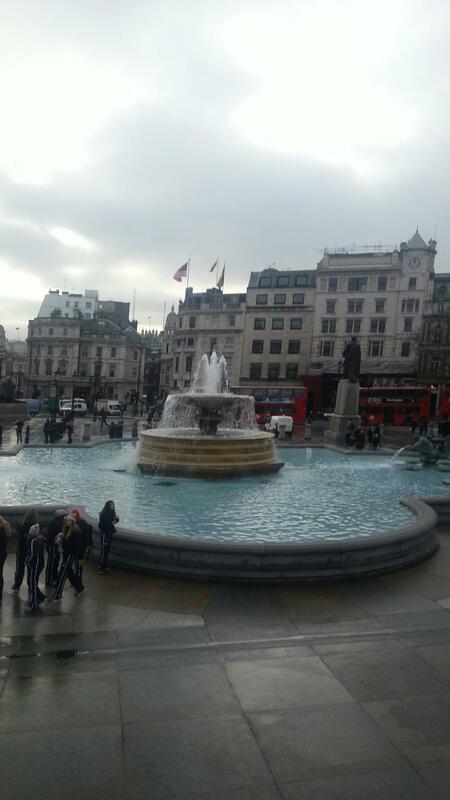 Visited Piccadilly Circus for morning tea and to investigate Lillywhites, the large sport store. Then it was on to Trafalgar Square, Big Ben, Westminster Abbey, Buckingham Palace, Coventry Garden for lunch. We were very pleased to witness the "Changing of the Guard", where we were able to get photos with the very stern guard. It was time to travel out to our hotel where we enjoyed a well earned shower! After dinner and some shopping for water and fresh fruit, we headed back to the hotel for bed. How good is it to sleep in a horizontal position! Bring on day two. Up Up and Away ! Well, all are checked in and ready to go. Welcome to your tour ! This is where we will be posting updates for the tour. Stay tuned !